Tim began guiding in the mountains in 1996. From his hometurf in the North Cascades he has since traveled and ran expeditions on all seven continents spending a lot of time in both north and south America, Antarctica and now calling Chamonix, in the French Alps his home. Highlights from the last few decades have been numerous ascents of Denali in Alaska, skiing from the summit of Mt Vinson in Antarctica, climbing the north face of the Eiger, climbing the New Dawn wall of El Capitan and the Walker spur of the Grande Jorrases, paragliding from the summits of Aig Whymper of Chimborazo and Mt Blanc and sailing/ skiing the waters of Svalbard in the frozen north to name a few adventures. 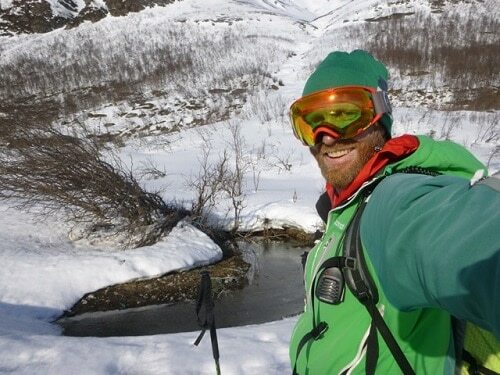 In addition to Tim guiding technical peaks around the world he enjoys sharing the outdoors on trekking adventures. Tim specializes in leading treks in the Alps and has led a dozen Haute Route treks and many variations. Still traveling the world Tim shares his time mostly between the European Alps and his young daughter in Scotland. We wanted to let you know how much we enjoyed our second Matterhorn trip. The reason we returned to the Alps with AAI was because we think so highly of Jonathon Spitzer, Lee Lazzara and the rest of the team. We know Jonathon works hard behind the scenes to ensure that the trips are executed flawlessly. We want to make sure he knows that his attention to detail doesn’t go unnoticed.